As the real estate market continues to improve in most US cities, I'm seeing more and more articles from real estate agents that tell homeowners that they cannot sell a home alone (FSBO - For Sale By Owner). They go so far as to include statistics showing how few homeowners succeed in selling their home on their own, and you just have to know that these statistics are fully contrived nonsense. 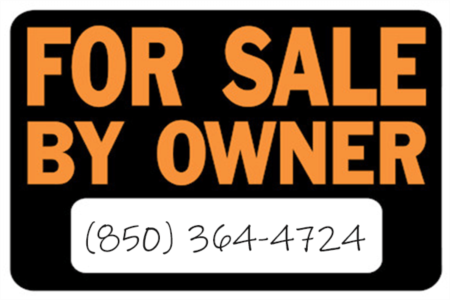 Think about it, do you think there is a national database of all For Sale By Owners which is updated to include sales and failures? Not a chance. I know that "they" are not counting accurately in Tallahassee, so I'm guessing it's not being done elsewhere either. A homeowner can certainly sell a home without a real estate agent. So the real issue for homeowners who are thinking about selling is whether or not they will put more money in their pockets if they choose to sell their home alone versus hiring the right real estate professional to do the job. Here's my two-cents worth on this. First of all, things have changed regarding the way that a home is sold today. The internet has made it easier to get the word out, but it also has changed buyer expectations and knowledge. The old concept of "it only takes one buyer to want your home" is costing home sellers a lot of money today. Knowledgeable homebuyers understand the competitive nature of the home buying process, and they bid much higher if they have competition than they do if nobody else wants your home. That means if you do not hire a real estate professional to sell your home, you must do the job that the real estate company would do or you won't create the competitive environment that brings MULTIPLE BUYERS to your home. Regardless of the option that you choose, I believe you must interview the best real estate online marketers to understand what is needed for you to pocket the most money after the sale of your home. If you want to know more about reaching "ready" buyers when it comes time to sell your home, I have outlined the best processes for selling your home in a free, ready-to-download e-book. It's a full, comprehensive study of the home selling process, and it will let you know what you need to do (or what you should expect from your real estate company) when it comes time to put your home on the market. Remember, you don't save the commission if you sell your home for less money, so make sure you do everything necessary to increase your net after the sale of your home. Hire Your Friend - This is what many people do because they do not put much thought into what they are about to do, and it is very costly. Everybody has a friend in real estate, and it is so easy to think that services provided will deliver equal results, regardless of whom is hired. I'm not saying to ignore your friends in real estate, I'm just advocating that you add them to the list of real estate professionals that you should interview for the job of selling your home. Hire A Real Estate Professional - Yes, I'm biased. 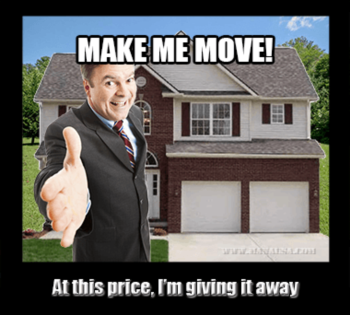 But I've also brokered more than 10,000 home sales in Tallahassee, and I can tell you very few people can do what my company does to bring multiple buyers to your home. Regardless of whether you choose to sell your home on your own or hire a real estate professional, I believe it is critical that you interview multiple real estate companies that you select online for their ability to reach more buyers. Add your friends in real estate to the list, but remember that you will likely pay $10,000 or more for their services, so make sure you get what you pay for. Sell Your Home Alone - Yes, you can sell your home alone. And if you do everything that my company does to market the home, you will reach the right buyers to bring in competitive offers for your home, allowing you to negotiate up to the top market value for your home. And in doing it alone, you should be able to save the real estate fees that you would be paying a real estate professional.